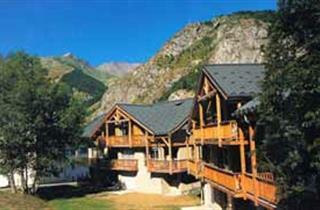 At an altitude of 1430m, Valloire is the main and the largest resort in the Maurienne Valley. It is located between the famous Three Valleys and the Italian border. A charming rustic atmosphere typifies the village at the foot of the Galibier Pass, and the village landscape is dominated by a splendid Baroque church. There are plenty of activities to keep you busy in Valloire. The village has many shops, bars, nightclubs, an ice rink, a fitness center and a bowling hall. This area is most famous for Beaufort cheese, and you can observe its production at one of the farms. The Adventure Park ensures great fun for families with children.